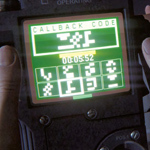 Here’s descriptions of the weapons and equipment Amanda Ripley uses in Alien Isolation. There are six fixed weapons you find as you go along the missions and almost all of them require ammunition to function. Most of the other weapons and equipment can be crafted using materials you find throughout Sevastopol. The Revolver is one of the earliest weapons you can find and it’s located in Lorenz Systech Spire. It can hold a maximum of 6 bullets in the chamber and can be reloaded manually. It’s useful for killing humans and synthetics though it will take 3 well-placed head shots to kill a synthetic. The Revolver isn’t effective against the xenomorph so save your ammo. Another thing to be weary of is the noise of it. Using it against humans and androids will most likely attract the attention of the xenomorph. After you trap the xenomorph and return to Sevastopol Station, you will find the Shotgun on your way back to the Marshall. It’s more powerful than the Revolver and can take an android with one headshot. 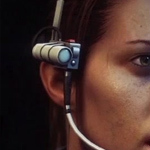 The tougher androids you meet later in the game require about three headshots to take them down. As with the Revolver, you can’t hurt the xenomorph with the Shotgun so conserve your ammo for androids. Like the Revolver, the noise of the gun can attract the xenomorph. Location: Solomons Habitation Tower / Galleria Lower Concourse (Colonial Marshal Bureau). You will find the Flamethrower in the Marshall’s office and will be crucial for surviving xenomorph encounters. If the xenomorph sees you, use the Flamethrower and it will force it to crawl into the vents for a short time. Don’t rely on it too much because fuel is sparse for the weapon and should only be used as a last resort. It carries 500 units of fuel without reloading it. 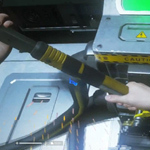 The Bolt Gun is one of the final weapons you receive in Alien Isolation and is crucial against the tougher androids you face. To use the weapon, you need to charge it up and release. You can take out an androids with one well-placed head shot with the Bolt Gun. Be careful as it does take a good few seconds to fully charge up. The Pipe Bomb is similar to a grenade and can be crafted using various materials you find throughout Sevastopol. It’s most effective against humans and non-industrial synthetics. They can also be used as a proximity device and you can use them to set a trap for enemies. The Molotov is an incendiary device which detonates on impact. You can craft them in the game and they’re effective against humans but synthetics are very resistant towards fire. The Molotov can be upgraded so that it inflicts more damage over a slightly wider area. You can also use it as a proximity device so it can be placed as an explosive trap. 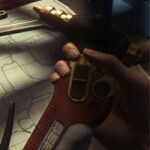 The Stun Baton can be found in the Medical Facility in the Environmental Control door. It’s useful for stunning androids so you can finish them off with the Maintenance Jack but beware, it won’t work on the tougher androids you meet later in the game. You get the motion tracker early on in the game and you will need to rely on it all the time to spot approaching enemies. Whenever you’re moving, you might hear a sudden beep coming from the tracker – that’s your sign to look at it and see where the enemy is. The Motion Tracker is based on motion and can detect targets moving in a 360 degree area around you but doesn’t necessarily tell you where they are vertically. The xenomorph could be hiding in a vent above you or below you for example and it will still show a dot. The Medikit is crucial to your survival and is used to restore your health. They can be crafted using materials found in the game. They don’t restore your health fully – maybe about 80% of a full bar. The Security Access Tuner allows you to hack various doors and control panels. When you come to something to hack, a minigame will be displayed where you have to select the right symbols on the screen from a choice of 8. You receive the flashlight at the start of the game and is obviously useful for seeing in the dark, particularly for navigating around dark vents. It does require batteries which can be found throughout Sevastopol. The batteries will eventually drain if you keep it switched on for too long so only use it when you have to. Flares are scattered all over Sevastopol and are a substitute for the Flashlight. You can hold a maximum of 6 at any given time. They’re useful early on for seeing in really dark areas but once you encounter the xenomorph, you can also throw one to distract it. But beware, after a while, the xenomorph will get smarter and start looking at where the flare was thrown from. This is the first piece of equipment you find and it’s located in the Immigration Office Cells on a dead body. You will use it for getting into places or turning the power on in various areas. It can also be used as a weapon against humans and androids. You can’t kill an android using only this however, you need to stun them first with the Stun Baton or EMP. You will find the Gas Torch on the Maintenance Deck and can be upgraded as you go along the game. It’s used for getting access to control panels on doors and later can be used for welding panels from walls so you can access vents. Smokebombs are devices that detonate on impact creating a cloud of smoke. They can be used to sneak by humans though they seem to have little effect against the xenomorph or androids. You can upgrade them later in the game and the smoke will last a lot longer. They can also function as a proximity device and can be placed as a trap. You can create Flashbangs using materials you find throughout the game. It detonates on impact and stuns nearby humans and blinds humans and synthetics who happen to be looking at it. It can be upgraded late in the game so that it affects enemies over a much wider area. The Flashbang can also be used as a proximity device. After 10 seconds of being placed, it will emit a noise drawing enemies to it. You will be using the Noisemaker a lot against the xenomorph and like other items, it can be crafted through materials you find. You can either place it in a location and you’ll have four seconds before it triggers a high-pitched noise or you can throw it somewhere. It’s very useful if the xenomorph has trapped you in an area and you need to clear a path. Later in the game, the xenomorph does get smarter and will start looking at the location the Noisemaker was thrown from so be quick about moving you’ve thrown it. The Noisemaker can be upgraded so that it lasts longer and attracts enemies from a much wider area. EMP Mines are only effective against non-industrial androids and throwing it will set off a blast which temporarily stuns them for a few seconds. You can also use them as a proximity device and set a trap for them. Either way, it gives you time to either escape or finish them off with your Maintenance Jack. As before, you can craft EMP using materials you find in Sevastopol. An upgraded version is available where it can have a much wider area of effect. I know this is late but I just found it. Love the game had gotten everything. Died like a million times lol. Got killed by alien at beginning because I was talking to long looking for stuff. It was were axle died. Then I saw it as I turned around when I got on the transport. It just stood straight up as the doors were closing. It scared me so much hahaha. I hope they make the sequel soon that ending was awesome. I think she is found by her mom. God bless all of y’all. That moment when you can’t leave the bidding spot because the alien keeps circling you and doesn’t leave. It’s been 30 mins now… Game fail bug? For those who have not played this game yet, my advice is to play it with headphones, in the dark, and with no walkthrough guide at first! Terrifying, yet awesome!! !